For beginner racers and fitness enthusiasts looking for stability, comfort and, performance look no further than the Madshus Megasonic Classic cross-country ski. With high-quality construction and a lightweight Polycell foam core, the Megasonic Classic provides a performance training and race ski at a great value. Polycell Foam Core: 3D-shaped to maximize the feel of the ski, the polyurethane based foam core utilizes specific carbon and fiberglass reinforcements to guarantee flex consistency with excellent dampening properties. 3D Construction: 3D Construction is the unique process of shaping a ski's surface geometry to remove weight and channel stiffness, for a precise tuning of a ski's torsional rigidity and flex. 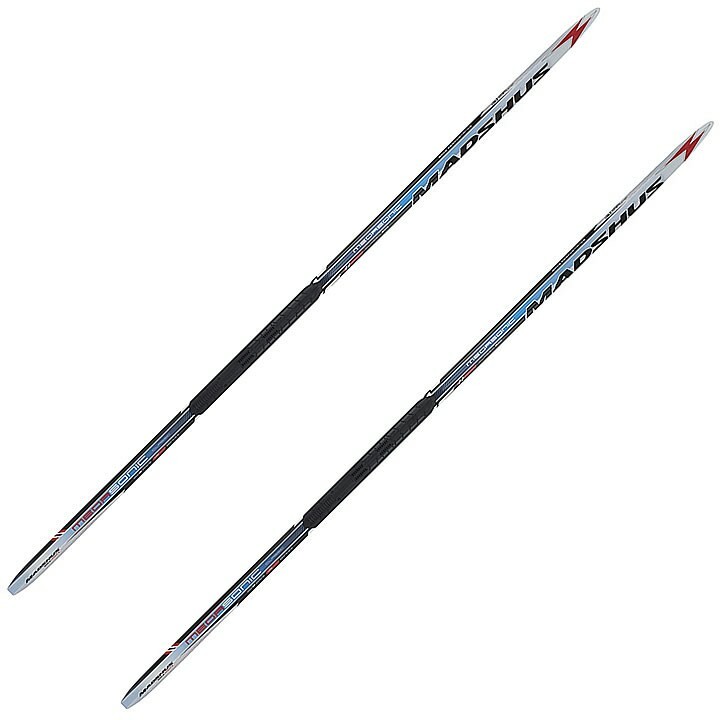 P170: The P170 base was designed to complement the race performance skis, providing the durable and fast bases that are expected with Madshus skis.